Lead generation allows startups to find out potential customers who are really looking for specific products or services in their industry. It’s easier than ever to generate leads, find prospects , bring them to your website, and then convert them into buyers. 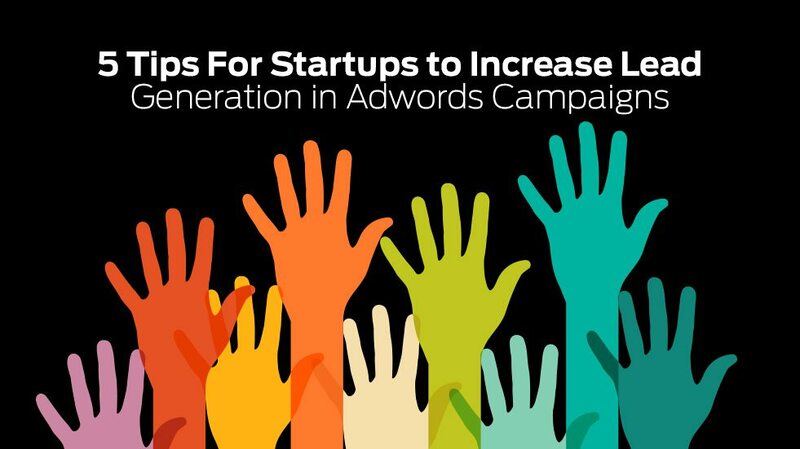 So if you’re all set to tempt people to your website, attract sales and get your startup off-the-ground, skim through the following 5 crucial tips to enhance lead generation in AdWords campaign. 1. Avoid generic keywords, as they will bring all sorts of people even those who are not your targeted customers. Instead, use keywords specific to your products or services in your AdWords campaign. So, use keywords that target your audience. Understand the mindset of your online audience and select your keywords accordingly. Use keyword tools such as Google Trends to understand which keywords are most popular in your industry. Settle for the keywords that have the potential to drive traffic but have little competition. 2. Create a compelling landing page that gives details about your business and its products or services. Visitors who are redirected to your landing page would like to know more about who you are and what value are you offering to them. If impressed, they will definitely respond to your call to action. But before you do all this, it makes sense to ensure that your startup invests in highly-useful and professional website design to keep visitors glued to your site pages. 3. Be ready to spend generously for lead generation through AdWords campaign. Do not make the mistake of setting aside a test budget, as these activities usually do not show the results quickly. Don’t run out of patience easily. 4. Users find your startup site dependable if they can chat online. Make sure that an operator attends all queries that potential customers place on chat in a timely fashion. Such online chat programs can increase conversion rate by 12.15%, according to coxblue.com. 5. Remember, you’re just a few clicks away from oblivion. Make sure that you give your visitors what they want and demand from you. So, do not just describe your business on landing page and instead be useful to them by offering customer testimonials, product videos, white papers, business presentation and other such useful content. Bonus: if you’re looking for a tool that will set up, manage and optimize your AdWords campaigns, we highly recommend you to try the Traffic Booster powered by StoreYa. These are just 5 of the most useful tips for startups to increase lead generation. Know of some other interesting ways to increase leads? Please let us know in the comment box below. Looking for Customized, On time, Advertisement Designs? Launch an Advertisement Designs contest today. Choose from 100+ designs. Take your pick!